Can you get in trouble for cheating with cell phones? The age-old problem of cheating at school has taken a new twist. The universal use of cell phones by students has led some to devise creative ways to cheat during tests. In a 2009 study, 35% of teens with cell phones reported cheating at least once using their phone. Methods of cheating included storing information on the phone to look at during a test, texting friends about answers during a test, taking pictures of the test to send friends, and searching the Internet for answers during a test. Some students admitted downloading complete papers or reports from the Internet and turning it in as their own. Others admitted copying and pasting text from web sites and turning it in as if they were the authors. The bottom line regarding this issue of digital ethics is that cheating is cheating regardless of the method. Schools have policies well-known to students about cheating. Suspension or expulsion may be the consequence if caught. Few schools are buying the explanation that it’s no different from an “open-book” exam or that the student was just trying to help out a friend. 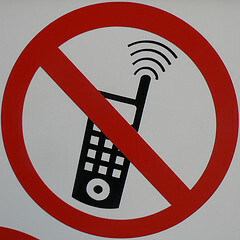 Find out more about cell phone privacy at school. For an interesting article about plagiarism in schools, take a look at ‘Generation Plagiarism‘ by Trip Gabriel in the NY Times Upfront magazine for teens. who would ever do this? that is soooo stupid.